I have a confession to make. 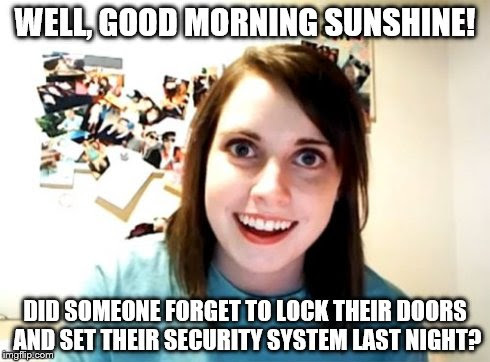 Sometimes when I leave my home in the morning I discover that the door isn't locked. I've certainly considered the possibility that someone might break in while I slept but it never occurred to me that they might still be there when I wake up. Good thing there's 24h security in my building.